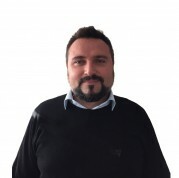 Tradecorp has a new member joining the Italian team as the Technical Coordinator for the Southeast European division of the company. His skills in account management and relationship building will be fundamental in his new role which will require him to communicate with the Marketing and Sales departments in order to maximize product benefits and satisfy customer demands. Enrico graduated from the University of Ferrara, in Italy with a degree in biology. He has had a wide range of experience in the agricultural business sector as a field trials specialist, senior buyer, and at his latest position was a Key Account Manager. Nisticò’s skills have given him the required knowledge to succeed at Tradecorp, and we are sure he will be a great addition to the team.